When choosing to reside your home, you naturally want the best product possible. The investment you’re putting into your home is something you’d love to get a solid return on. In fact, James Hardie remains the leader in the field when talking about ROI. Remodeling Magazine releases their “Cost vs. Value Report” to asses the return on investment that homeowners are receiving from home improvement projects. For 12 years in a row, replacing your vinyl siding with fiber cement siding (James Hardie) was listed as providing homeowners with the #1 ROI for any exterior remodeling project out there. 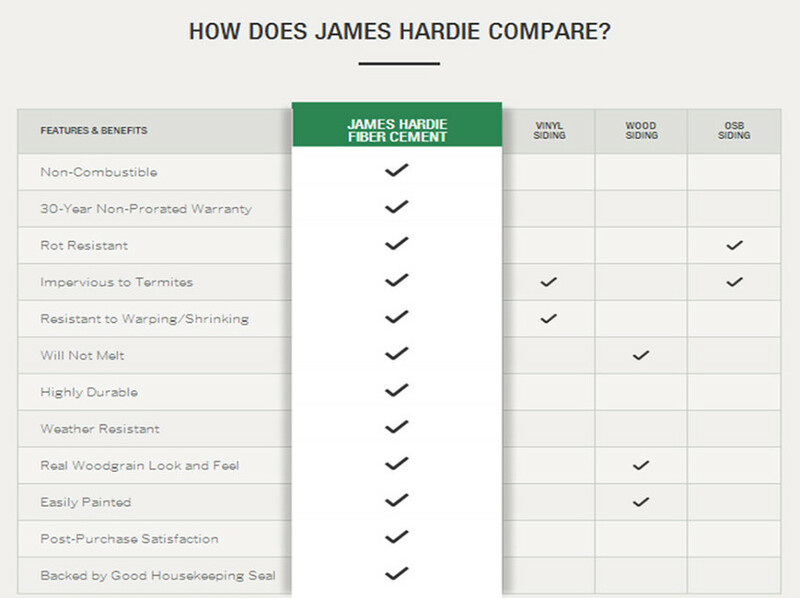 Why Does James Hardie Have Such a Good ROI? James Hardie costs less than wood but requires less maintenance, doesn’t attract pests, resists water and helps protect against mold. James Hardie is the only siding company that specifically engineers their siding based on the climate and region for which the siding will be living in. Get a siding material that has a less chance of fading, cracking or chipping thanks to Baked-on ColorPlus Technology.